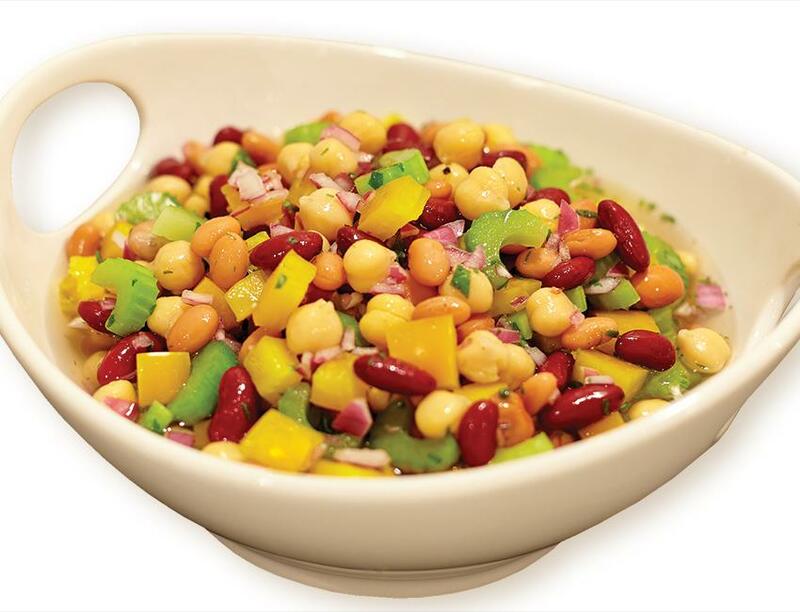 Combine the beans, chopped yellow pepper, red onion and celery in a large bowl; toss to mix. Whisk together the Marukan Organic Seasoned Rice Vinegar, basil and pepper. Pour over the bean mixture. Refrigerate 2 – 4 hours before serving. Serve in salad bowl over lettuce leaf.